DEEPLY CHOCOLATEY Made from 100% cocoa, ideal for hot drinks and rich bakes. May contain milk. May contain milk. 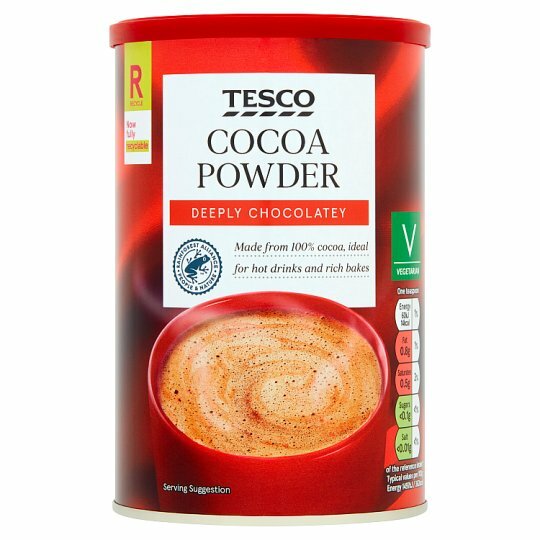 Add 1 teaspoon (4g) of cocoa powder to a cup or mug. Add a small amount of cold semi-skimmed milk and mix to a smooth paste. Add 200ml of hot, not boiling, semi-skimmed milk. Stir briskly until fully mixed. Sweeten to taste.